The Hauraki Aero Club was formed in 1936 and is a proud member of the Sports Aviation corp, the governing body for microlight and ultralight sport aircraft. The club is situated at Thames Aerodrome just 3 kms from Thames township, on the western arm of the picturesque Coromandel Peninsula. 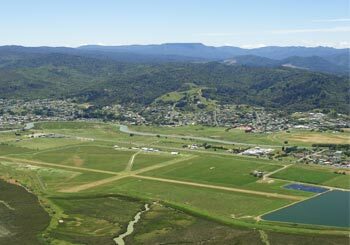 Trial flights and training are carried out from Thames airfield and over the surrounding Hauraki Plains. This provides an excellent environment in which to fly. We are away from the busy main airports and free from controlled airspace which can hinder progress. You can learn to fly at any age but solo flight is not allowed until the age of 16. You do not need a special licence to begin, only a valid medical certificate from your own GP. Hauraki Aero Club will train you to the highest standard, always with safety at the forefront. Aircraft hire rates vary. You pay as you go and the costs can be spread over whatever time period that suits you and your budget. We are a not-for-profit organisation. Run by members, for members. All proceeds are put back into the aero club to improve it and make it a more enjoyable place for our members to fly.